Comments: Used books don't have access codes, ships from U.S.A. 5th Edition Hardcover good used book, ships very fast! !, choose expedited for quicker shipping. 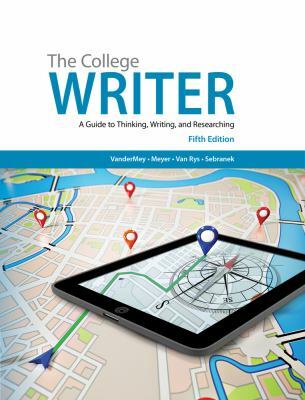 Randall VanderMey is the author of 'The College Writer: A Guide to Thinking, Writing, and Researching', published 2014 under ISBN 9781285437958 and ISBN 1285437950.